Whether you call it soda, pop, tonic, or Coke, we spend a lot of money on this sparkling beverage. Finding ways to save money on this delicious treat will free your budget up for other expenses. This is a guide about saving money on soda pop. Whether you call it soda, pop, tonic or coke, we spend a lot of money on this sparkling beverage. 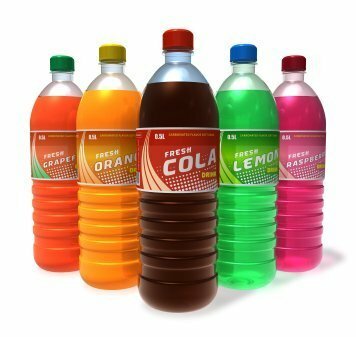 Here are some tips for saving money on soda pop as recommended by our ThriftyFun community. We only buy soda when on sale. Since we drink Coke products, we save the "points" and use them for things we'd normally pay money for, like magazine subscriptions. Make lemonade or limeade using bottles of concentrate, add sweetener (or sugar) and add water then fill old plastic bottles. Very satisfying taste. Cheaper and better for you. 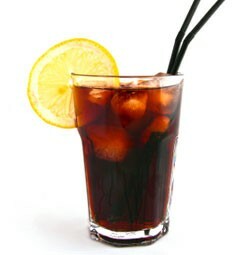 You can buy old fashioned coke syrup, generic club soda, and make your own. If you're "brand loyal" and don't want to give that up, stock up when "your" brand is on sale. The store I work at generally has Pepsi products on sale one week, and Coke products the next. Or if the brand is not that important, buy only what is on sale. We rarely buy it, so I guess we save a lot on it! Since I stopped buying it, we sleep better, I have lost weight and I don't worry about the kids having too much of it. I gave up buying soda pop when my daughter was a child. I would mix various flavors of frozen juice with seltzer, some sliced oranges or berries for garnish and serve that at her parties. The kids loved them because it made them feel so grown up and their parents were happy not to have to deal with all the sugar rush. I do the same for my granddaughters now and their friends love them, too. We haven't had soda pop in the house for many years. Use the flavored sugar free drink mixes you add to water. Walmart and Target sell their own brand of them. Also anything you can do to cut back on pop consumption besides being good for your wallet will also benefit your teeth. In addition to saving your tooth enamel, I was told by someone undergoing dialysis that pop pulls the phosphorous out of your bones, so that is another thing to consider healthwise. Remember, it will benefit you long term. Do you have any tips for saving money on soda pop? Feel free to post them below. Shop around for a generic everyone likes. We discovered the Food City brand Dr. Wow in our area tasted just like Dr. Pepper (just a bit more carbonated). Dr. Pepper sells at $4.29 for a 12 pack of cans while the Dr. Wow sells for $4.89 for a 24 can pack. That is double the quantity for a fraction of the cost. Every store now a days is toting a generic brand: Food Lion, Kroger, Ingles, Safeway, Food City, etc. You just have to find one that tastes good to everyone, that is at a good price. Of course buying in bulk is usually cheaper anyway. I just never expected this soda to be so much cheaper and taste good to boot. My husband drinks a lot of coke but most of the time he leaves about a cup full. I use to throw it away but now I put it in a small container with a lid and put it in the freezer. I use this frozen coke instead of ice. So no more wasted coke and no more watered down drink. Source: You can give me the credit.